Calling all KIDS!! It is your turn to cross the finish line! 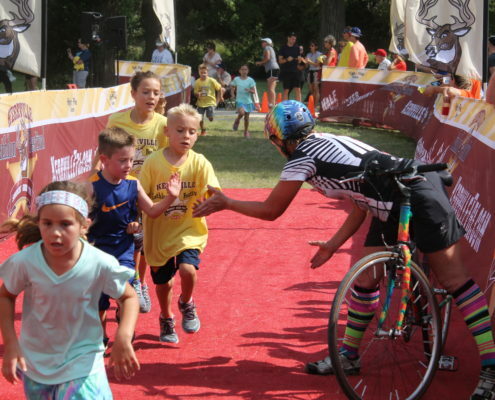 Kerrville Triathlon will offer all kids ages 0-10 years old to take a turn on the same course as the athletes! Kids will start at the Finish Line a take-off on a half mile loop to return and cross the finish line to awaiting refreshing drinks and fun snacks. Parents, you can run alongside your kids if they are younger and feel free to turn around at any point if the children are too tired. All kids will receive a Kerrville Kids Run Finisher Medal! 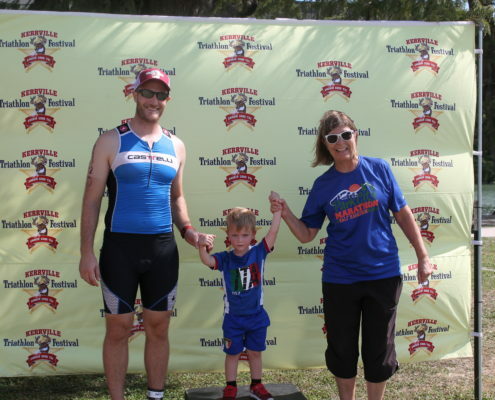 Kids will also get a chance to have their photo taken with The Kerrville Triathlon Mascot on the podium following the run. This event is completely FREE! 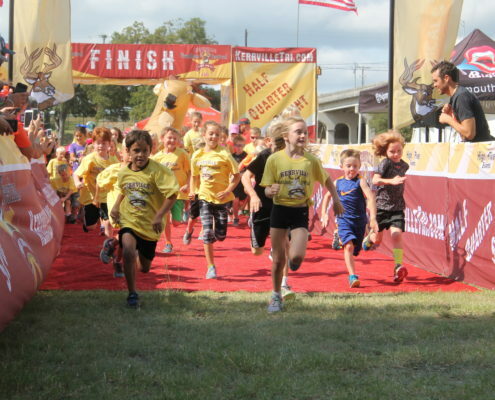 Since safety is the #1 rule here at High Five Events, we need you to register your children for the event. It also helps us make sure we have enough snacks for all the kiddos!